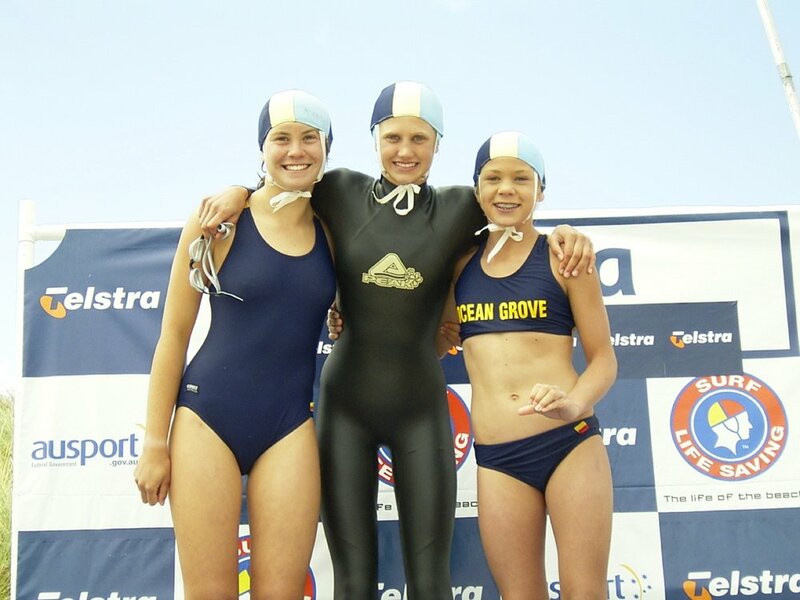 I grew up in Geelong which is about half an hour’s drive from Ocean Grove beach where I started nippers at age 10. I fell in love with the sport of Surf Life Saving because of the physical challenge of training, the unpredictability of the ocean and the friends I made at the surf club. Us kids would train in the surf in every kind of weather, usually wearing a full length wetsuit to keep us warm. Most of my summer holidays were spent figuring out how I could spend as much time as possible at the beach. When I was 16 I made a pen friend in France who also did Surf Life Saving. One day I boldly invited myself to could come and stay with her in Biarritz for three months to learn French. Our days were spent in the local pool, at their school (no English spoken) and at surf training at Biarrtz beach. The town is so glamourous with beautiful old buildings built along the ocean. Travelling to France by myself and staying with an amazing family whom didn’t speak English was such a challenging yet rewarding experience. I did, however, put on 10kg as I couldn’t resist those French pastries! After I graduated from University I craved a more worldly experience so I visited Sri Lanka, stayed with a local family and volunteered at an orphanage. My eyes were forced open to a new world of customs and culture fostering both beauty and pain. Each morning I had the entire beach to myself, so I would swim. The neighbours complained when I wore my bikini so I had to learn to bodysurf in the more culturally appropriate attire… t-shirt and pants. Hawaii will always hold a special place in my heart. I recently won my second Molokai to Oahu paddleboard World Championship. This is a brutal 52km race between the two islands, crossing the treacherous Ka’iwi channel. For over five hours it’s just me, my board and the ocean. It is the most physically and mentally testing race I have ever competed in and I am really proud to hold the world record time for this event. Hawaii taught me and continually teaches me how my capabilities are way beyond what I perceive them to be. I visited Tahiti last year with a group of athletes to compete in a paddle and swim race. Tahiti is one of the most naturally beautiful places I have ever been to, with crystal clear blue waters, palm trees and white sand. It’s no surprise that the Tahitian culture is centered around the ocean. Tahiti was so powerfully beautiful that I promised myself that I’ll never live away from the ocean.